On the first of November, 2018, Encana Corporation announced a definitive agreement to purchase all outstanding shares of common stock of Newfield Exploration Company, an all-stock transaction valued at $5.5bn. Following the deal, Encana will assume $2.2bn of Newfield’s net debt. This acquisition will result in a leading multi-basin company playing as North America’s second largest producer of unconventional resources. The deal will provide Encana with access to the premium Anadrako Basin and create a company able to produce 577,00 barrels of oil equivalent per day, including liquid production of roughly 300,000 barrels per day. 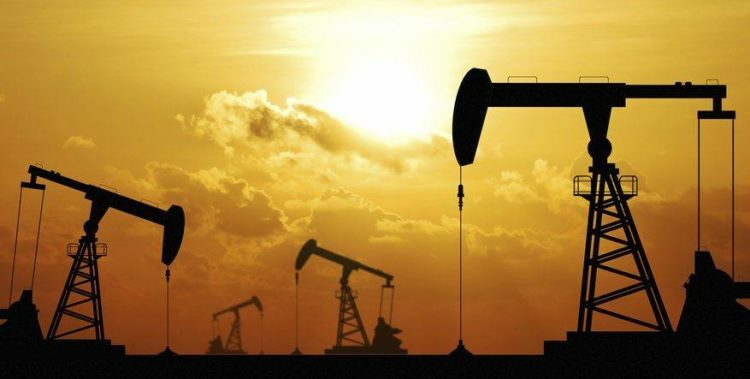 Newfield Exploration Company is an independent energy company focusing on the exploration, development and production of crude oil, natural gas and natural gas liquids in the United States. Newfield was founded in 1988 and is currently headquartered in Houston, Texas. The company has onshore operation principally in Anadarko, Arkoma, Uinta and Williston Basins in the United States while also holding small offshore assets in the South China Sea. Nonetheless, 99% of Newfield’s 680m barrels of oil equivalent of estimated proved reserves are concentrated in the United States. The company employed 1,010 employees as of 2017 and produced 152,000 barrels of oil per day in the same year. Newfield has seen recovering revenues since a drop of more than $700m in 2015 from about $2.2bn to $1.5bn, due to a plunge in oil and gas prices in the same year. In 2017, the company posted roughly $1.77bn in revenues, finally managing to return profitable since 2015 with $427m in net income. Encana Corporation, together with its subsidy Encana Oil and Gas USA, engages in the production, transportation and marketing of natural gas, oil and natural gas liquids (NGLs). As Canada’s largest natural gas producer, the company was founded in 2002 and is currently headquartered in Calgary, Canada. All of Encana’s reserves and production are located in North America after the company’s international assets divestment in the mid-2000s. Encana’s Canadian portfolio of operations is based on onshore operations in Alberta and British Columbia and offshore investments in Nova Scotia. Through its US subsidy, Encana holds operations in Colorado, New Mexico, Wyoming, Texas and Louisiana. By the second quarter of 2018, Encana was producing 337,00 barrels of oil per day and employed roughly 2,107 employees. Following the trend of the sector, Encana saw a decrease in its revenues in 2015. By the end of 2016, revenues went down threefold from about $8bn to $2.9bn. However, in 2017 Encana was posting $4.44bn in revenues and saw its first year of profitability since 2015 with $827m in net income. Encana Corporation and Newfield both operate in the shale oil industry. Shale oil is a type of unconventional oil found in shale formations, that must be hydraulically fractured to extract oil. The oil and natural gas industry often refers to “tight oil” rather than shale oil because the former may be extracted from rock formations that include sandstone and carbonated in addition to shale formations. The extraction of the oil was made possible with the development of horizontal drilling technique and hydraulic fracturing (“fracking) which have grown rapidly since 1950s. In 2013, the U.S Energy Information Administration (EIA) estimated that 345 billion barrels of shale oil might be technically recoverable, making approximately 11% of total crude oil resources. Producing shale oil from shale rock has traditionally been more expensive than conventional crude oil and could have a more destructive impact on the environment; nevertheless U.S. production has increased significantly since 2010, driven by technological improvements that reduced drilling costs and improved drilling efficiency in major shale plays such as the Bakken, Eagle Ford and the Permian Basin. In 2015, production from tight oil players surpassed 50% of total U.S oil production, reaching 4.9 million barrels per day. The U.S. EIA has estimated that U.S tight oil production will increase to more than 6 million barrels per day in the coming decade, making up most of total U.S. oil production; in addition, according to their latest estimates, after 2026 tight oil production will remain relatively constant through 2040. Looking at prices, according to U.S. EIA, worldwide crude oil prices will average $74 per barrel in 2018 and $75 per barrel in 2019. The rise of almost 40% in the past 12 months in oil prices has created opportunities for companies to initiate a new round of deal making, while continuing to return cash to investors: in facts, given the high volatility of prices, for the large traditional oil enterprises is cheaper to buy out the less efficient shale oil companies rather than explore new reserves, an example of this is the acquisition of BHP’s US shale oil gas by BP. The reasons of the recent high volatility of oil prices are four: first of all the increase in the U.S production of shale oil and alternative fuels; second, OPEC’s reduction of output to put a floor under prices; third, the dollar appreciated by around 25% over the main currencies between 2014 and 2015, which is important since all the oil transactions are paid in U.S dollars, thus a 25% rise in the dollar offsets a 25% drop in oil prices; and fourth, global demand grew more slowly than anticipated. On November 8, 2018 Encana announced the acquisition of Newfield Exploration Co. for $5.5 billion, including $2.2 billion of target debt. Under the terms of the deal, a stock swap, Newfield shareholders will receive 2.6719 Encana common shares for each share of Newfield common stock, thus valuating Newfield at about $27.36 a share, a roughly 35% premium based on Wednesday’s U.S. closing price of $10.24 for Encana and $20.20 for Newfield. As a result, Encana shareholders will own approximately 63.5% of the combined company and Newfield shareholders will own approximately 36.5%. In 2017, analysis of the shale oil industry predicted 2018 M&A deals to flow as freely as oil from an underground reserve. While the actual M&A results in 2018 have not quite reached this extreme prediction, the industry is certainly seeing a substantial increase in consolidation and deal flow. From this perspective, the recently announced Encana-Newfield deal resembles merely another step in the direction of other producers like Chesapeake Energy and Concho Resources, each of which inked their own expansionary acquisitions earlier this year. But unlike its competitors, Encana will emerge from its deal with a massive increase in market share, placing it 2nd in the market behind EOG Resources. One of the most important drivers of the acquisition is the positioning of Encana in the STACK/SLOOP shale fields of the Anadarko basin, the Bakken region of North Dakota, and the Uinta play in Utah. The move increases their proved resources by nearly 85% – an important development for a company in an industry showing signs of slowing growth, with weakening supply and valuations based almost entirely on access to reserves. Since 2016, growing logistical costs and lack of pipeline capacity have continued to shrink the margins of the medium-sized businesses that populate the space. In addition to other plays, the Permian basin, which drove much of the industry’s explosive growth in the past 2 years, has notably slowed in regards to both output growth and the number of “parent wells” newly discovered. Many critics see this as a necessary slowdown after a period of immense growth, but for a company like Encana, which holds a large portion of its American reserves in the Permian basin, future business prospects look unnerving and call for increased diversification. In recent press releases, Encana also stressed the acquisition’s ability to facilitate Encana’s “5-year plan” to fight declining sales and to improve profitability and cash flows. Encana predicts that acquiring Newfield “enhances an already strong balance sheet” and will bring 2019 non-GAAP net debt to adjusted EBITDA to 1.5X. In addition to other benefits, a 25% dividend increase and a $1.5bn expansion in the share buyback program are anticipated benefits for investors; both of which are expected to be financed by increases in non-GAAP free cash flows following the deal. This conscious focus on profitability only seems more important considering investors’ recent dissatisfaction with the sub-par cash flows of shale oil investments. Besides just improving investor returns, greater capital discipline is also crucial to financing future growth of the US shale oil industry. In the next decade, U.S. oil production is forecasted to make up 80% of the global oil supply, and many shale companies will need to tap into the capital markets to finance this expansionary growth. Companies with strong balance sheets and cash flows, such as Encana, will be best equipped to undergo such future financing. Finally, well-executed acquisitions such as the Encana deal can put shale oil companies into better situations to withstand or capitalize off of shifts in price. Rising oil prices allow consolidated companies to reap even greater profits through higher combined revenue streams and lower joint costs. However, this ability to cut costs also lends an advantage during price downturns. Should oil prices drop, a serious consideration given their recent retreat from a 4 year high achieved in early October, consolidated companies will be better able to withstand lower profit margins because of their greater efficiencies and cost structures. As a result of the aforementioned factors, shale oil is entering into a decisive era where efficiency and scope will be not just advantages, but necessities. Encana’s acquisition of Newfield only highlights their understanding of these changes and willingness to adapt. Immediately after the announcement of the deal Encana stock slid 18% to C$11.03, its biggest intraday plunge on record, to wipe nearly C$2bn in market value from the company. Critics of the deal believe that the all-stock format will dilute investors’ holdings, while also proving detrimental by moving the company into unfamiliar assets that will be costly to integrate into Encana’s existing portfolio. To many investors, the choice to expand into new plays forewarns future uncertainty and losses due to poor and inefficient management of unfamiliar assets. In contrast, Newfield stock rose by 14% on the same day, which acts as a silver lining to the fact that the company is down 36% since the beginning of the year. Investors have driven down Newfield’s stock because of a lack of confidence in their Oklahoma assets throughout the Mid-continent region. Whether Encana will be able to shift investor confidence in this region, replicating Permian best practices and profit margins where Newfield could not, will be a key indicator of the deal’s success. Credit Suisse and TD securities acted as financial advisors to Encana, while J.P. Morgan Securities LLC and Goldman Sachs & Co. LLC advised Newfield.